This scarf from Hugo Boss is crafted from a comfortable cotton blend. 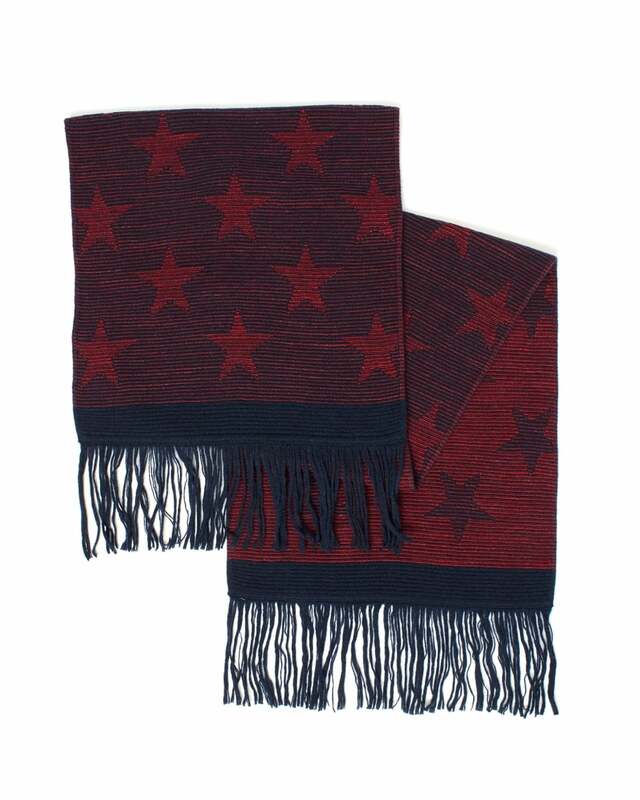 It has a light red large star pattern with navy tassels and is finished with a small Hugo Boss metal letter badge. Wear with a white Armani shirt and trousers for a classic look with a modern twist.